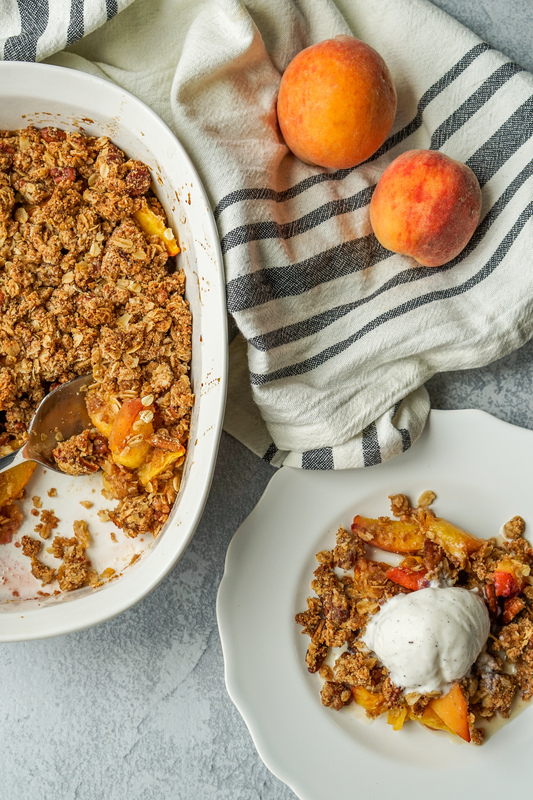 This Healthier Fresh Peach Crisp recipe is full of juicy peaches, naturally sweetened, and with a tasty crumb topping. 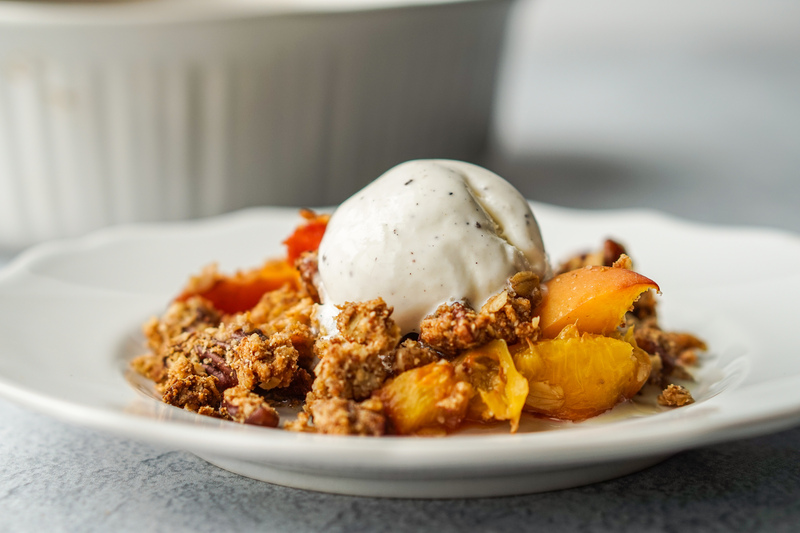 Served with a scoop of vanilla ice cream it makes the perfect seasonal dessert. Ok seriously, is it even Summer if you haven’t enjoyed some of the fresh fruits and produce of the season and eaten your bodyweight in ice cream….. 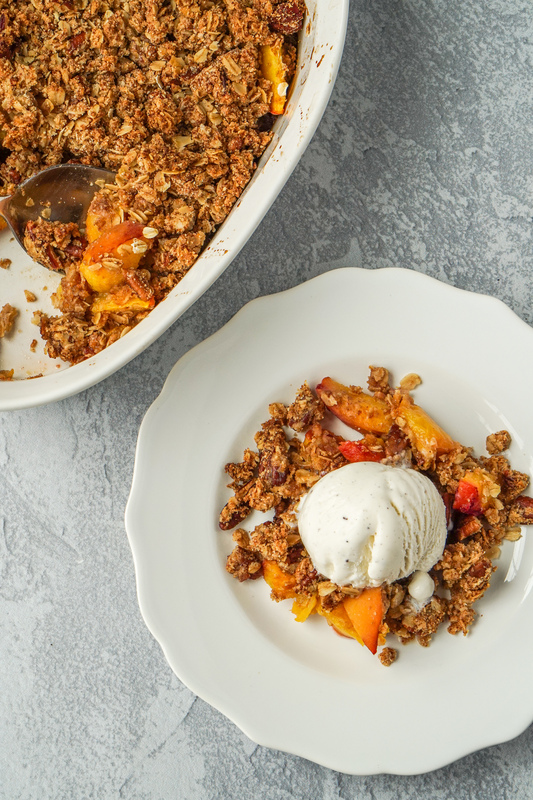 This week I was given the opportunity to take photos and write this Fresh Peach Crisp recipe for Pure Taste Recipes. Which is a place for people who love cooking and baking can have a variety of recipes to try. And many of the recipes have a healthy spin on them. Right up my ally! 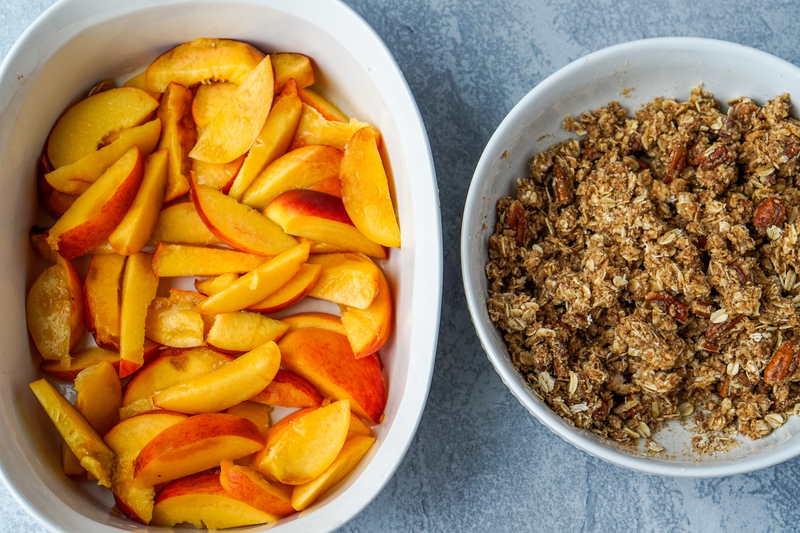 I love this Healthier Fresh Peach Crisp because it uses real ingredients and still satisfy my sweet tooth. Plus it can easily be made ‘gluten-free’ and ‘dairy-free’ to meet any diet needs. To read more about the ingredients I chose to make this dessert and for the full recipe visit this post on Pure Taste Recipes. Hope you’re continuing to enjoy the last month of Summer and eating all the seasonal produce. 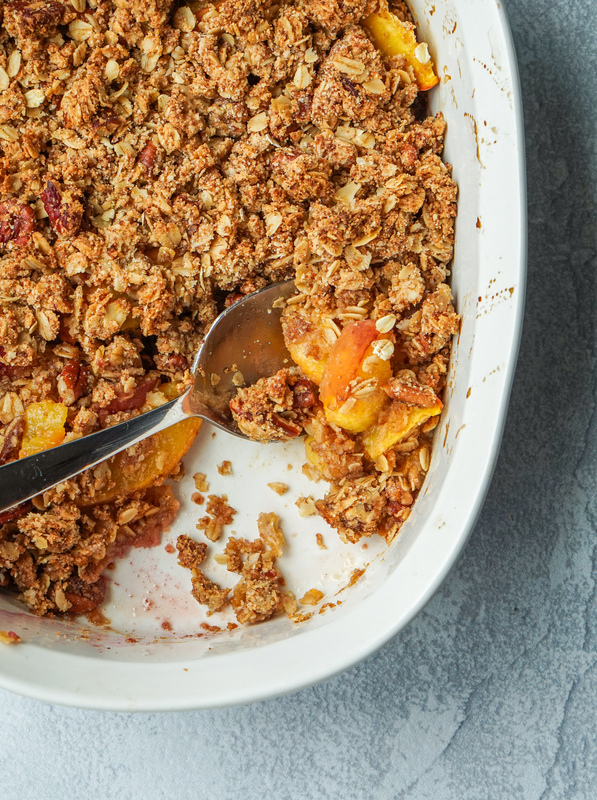 How do you use peaches in cooking or baking? Team top with whipped cream or ice cream? Mmmm this looks so decadent. I love peach anything!! Peaches are the best Summer fruit right!